Agent G and Frank the Pug. 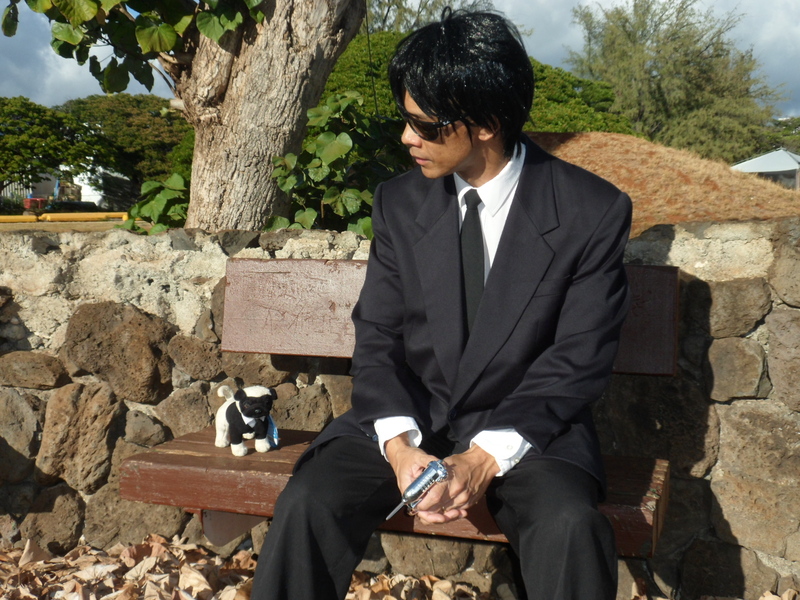 MIB HD (Men in Black, Hawai'i Division) Agent G converses with Alien Covert and temp Agent, Frank the Pug, for a moment from tracking down an Alien renagade hiding among the human population in Hawai'i... 'Stitch' perhaps?. HD Wallpaper and background images in the Men in Black club tagged: mib hdmib frank the pug hawai'i. This Men in Black photo contains costume d'affaires, costume d’affaires, costume, and costume de vêtements. There might also be bien habillé personne, costume, costume pantalon, tailleur-pantalon, pantalon costume, pantsuit, personne bien habillé, pantalon de costume, costume trois pièces, robe costume, robe complète, frac, manteau de queue, queues, cravate blanche, cravate blanche et la queue, robe longue, tailcoat, tail coat, tails, cravate blanche et queues, habit, robe pleine, and queue de pie. As from the last update, that renagade alien 'Stitch' found refuge working at the Disney Resort, Aulani, in Nanakuli on the island of O'ahu!